As part of our hunt for a NYC apartment to call home, Nathan and I had to find a temporary sublet. Since it was only for 6 weeks, we were willing to live almost anywhere. 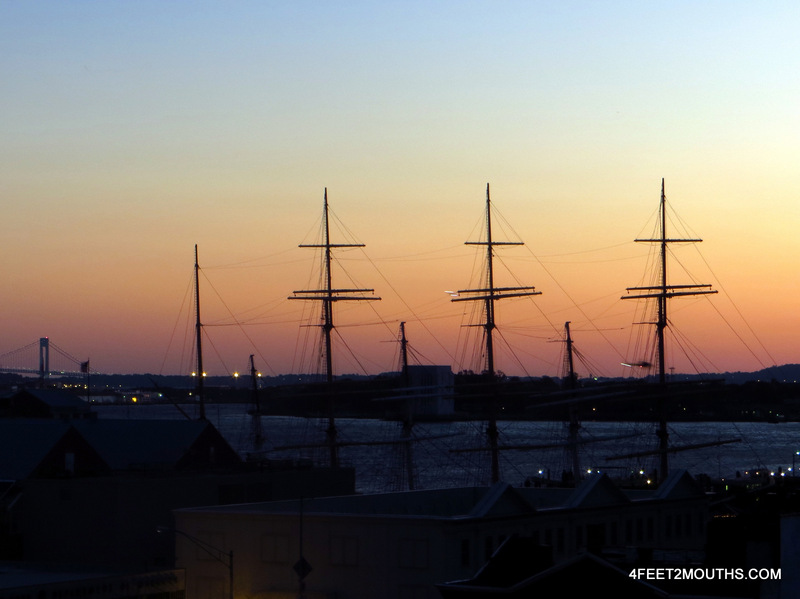 It was only by chance that we ended up subletting in a hidden corner of Manhattan called South Street Seaport. South Street Seaport is bordered on the north by the hulking Brooklyn Bridge, to the east by water, and to the west and south by the glossy high rises of the financial district. Originally, the area was developed on filled land as a port, with two wide boat slips to load and unload trade ships. 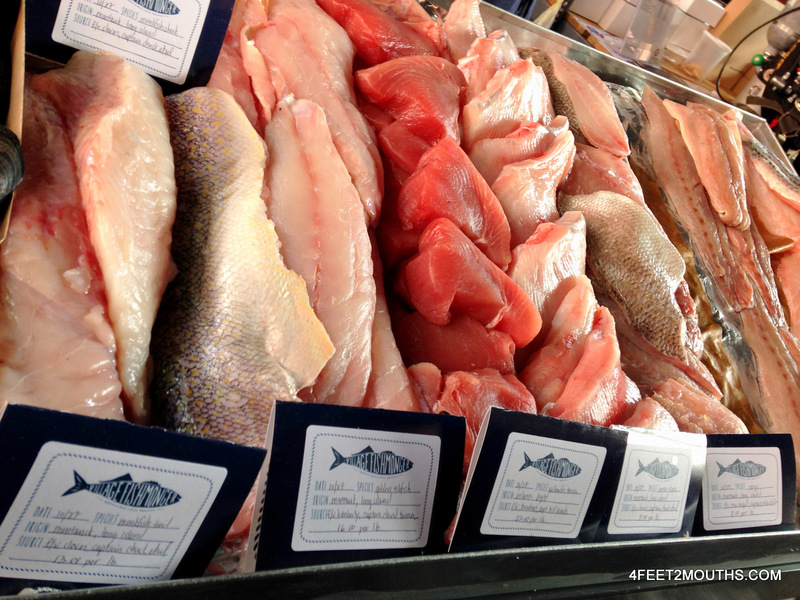 Seafood became a specialty and the Fulton Fish Market opened in 1822 and continued to operate until 2005. In Europe, this would not be noteworthy but in America that is an amazingly long time! The fish market, the second biggest in the world after Tsukiji in Tokyo, was moved to a modern facility in the Bronx. The long history of the neighborhood envelopes you. 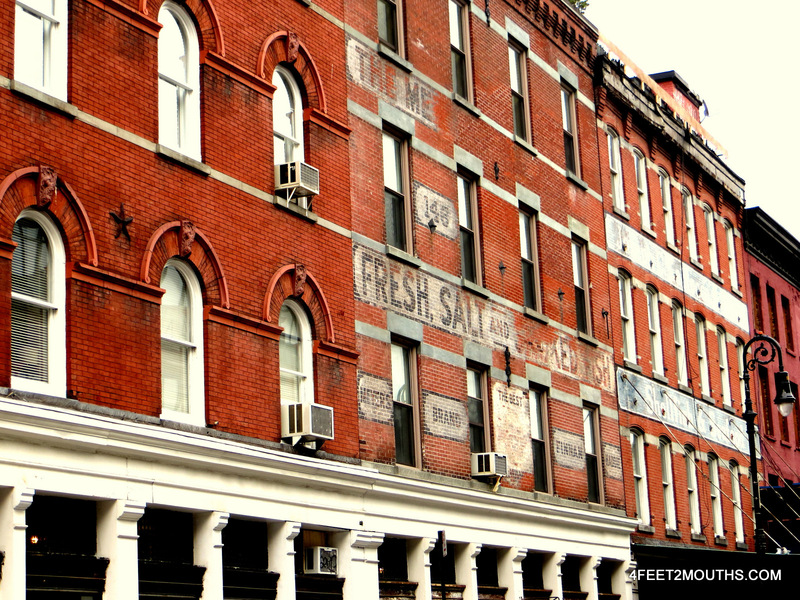 It is visible in the 1800’s architecture (some decorated with sea life motifs) and the historic sail and steam boats bobbing in the water (part of the South Street Seaport Museum). On a tour of the 1930 Peking sailboat, we learned about the typical sailor’s life. Let’s just say rough would be an understatement. It’s no wonder they couldn’t wait to get ashore and patronize the bars and bawdy nightlife of the South Street Seaport – a tradition carried on in some ways by bars like Jeremy’s Ale House and Paris Cafe. 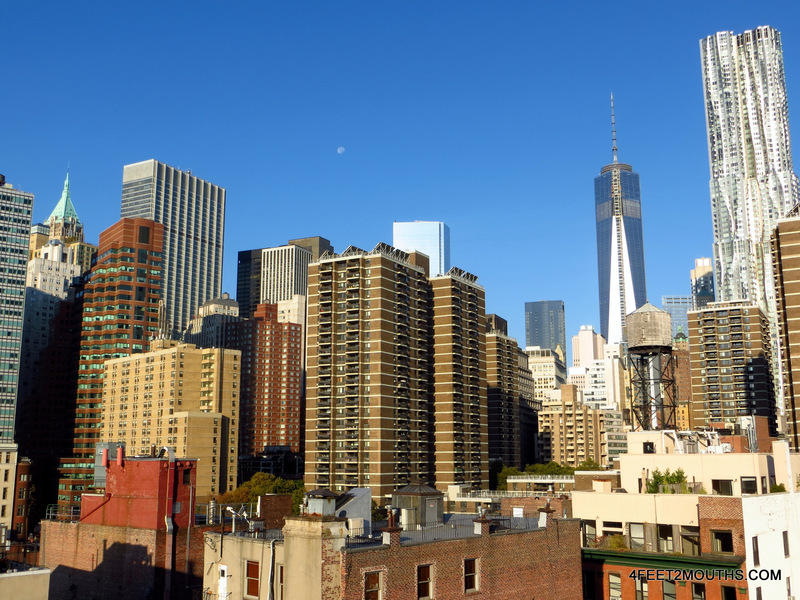 In a city like New York, it’s no surprise that developers want to capitalize on the area’s unique character. There are plans in the works to turn this area into a luxury shopping mall and condos. The community opposition has already mobilized but Hurricane Sandy certainly crippled their stance. The effects of Hurricane Sandy were spread unevenly across NYC. For some, it simply felt like a huge storm. Others experienced major flooding, power outages and wind damage that ruined homes and businesses. Forty-three New Yorkers lost their lives. 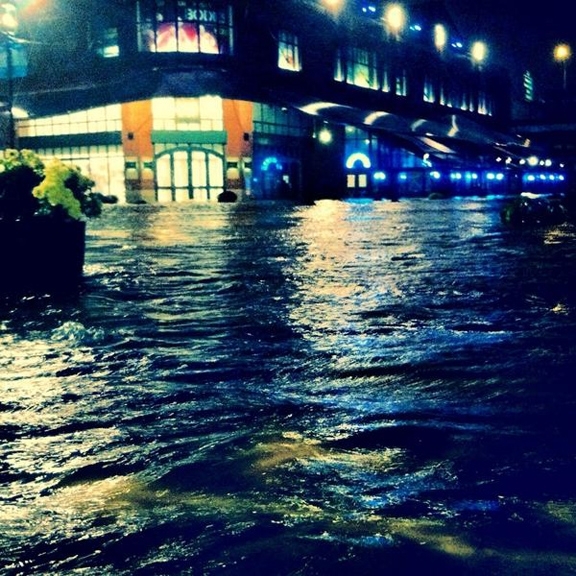 Since it’s on fill, South Street Seaport succumbed to flooding with disastrous results. With the major repair costs, many of the shops and restaurants found it difficult to reopen at all. Over a year later there are still plenty of empty storefronts awaiting new tenants/development. Of the independent businesses that have returned, one of my favorites is Made Fresh Daily. This cheery café doesn’t win any awards for the best coffee or the most avant garde food. Instead, it makes simple pastries and lunches in a comfortable setting. For me, the best part is their collection of magazines free to read in the café. I typically grab a tea, a few ‘zines and camp out. And because the neighborhood is so peaceful, I don’t have 20 customers eyeing me for my seat. It can be full but is never overly crowded. In NYC, that’s saying something. Another great shop is Pasanella & Sons. 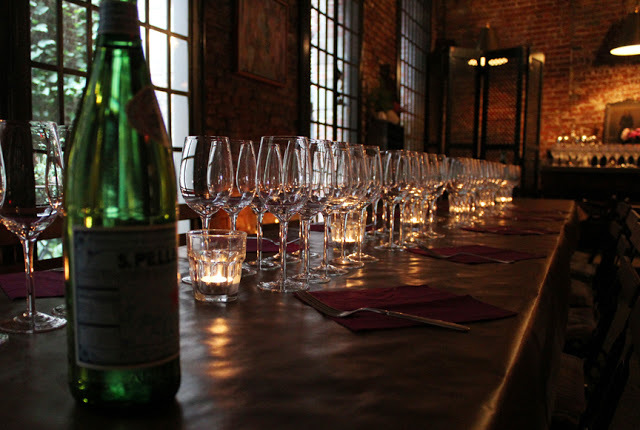 This small wine shop has knowledgeable staff and a beautiful brick tasting room in the back where they hold events. Since we lived there in October, we got to attend a great hard cider event where the drinks ranged from dry and fizzy to pungent and sour. The New Amsterdam Market meets outside the old Fulton Fish Market building. A weekly market before the hurricane, it has since become a monthly one. The market sells more specialty goods than everyday groceries (think cheese, honey, sausage, etc.) and it is all of high quality. I particularly enjoyed the extremely fresh Village Fishmonger stand, which is a CSF (community-supported fishery) that I’m tempted to join. 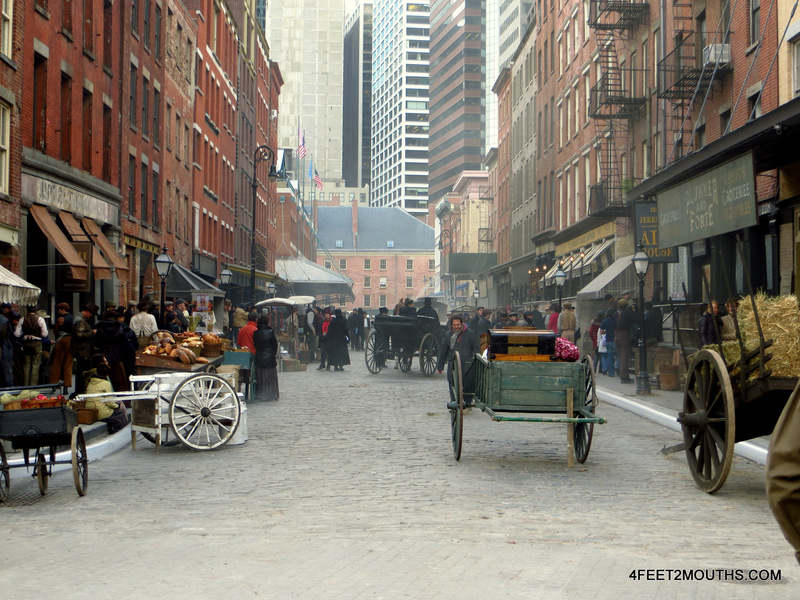 The hidden, historic atmosphere of South Street Seaport makes it ripe for filming. It was quite entertaining to exit my building one night and find Law & Order: SVU filming across the street. A few weeks later, I come out to find a different film shoot had transformed the block next to mine into turn of the 20th century New York! 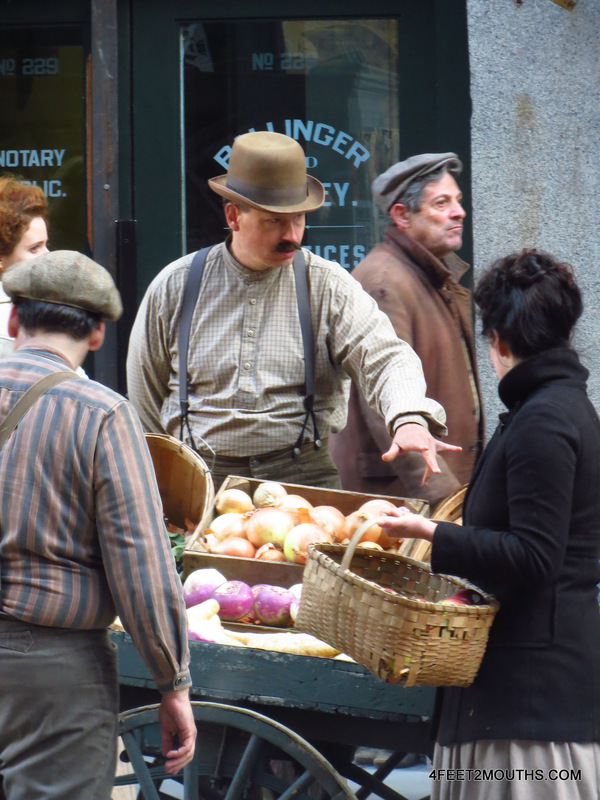 In order to film for The Knick (which basically looks like Grey’s Anatomy set in the early 1900s), they brought in horse-drawn carts, new store awnings, a few vegetable carts and dozens of people in period costumes. 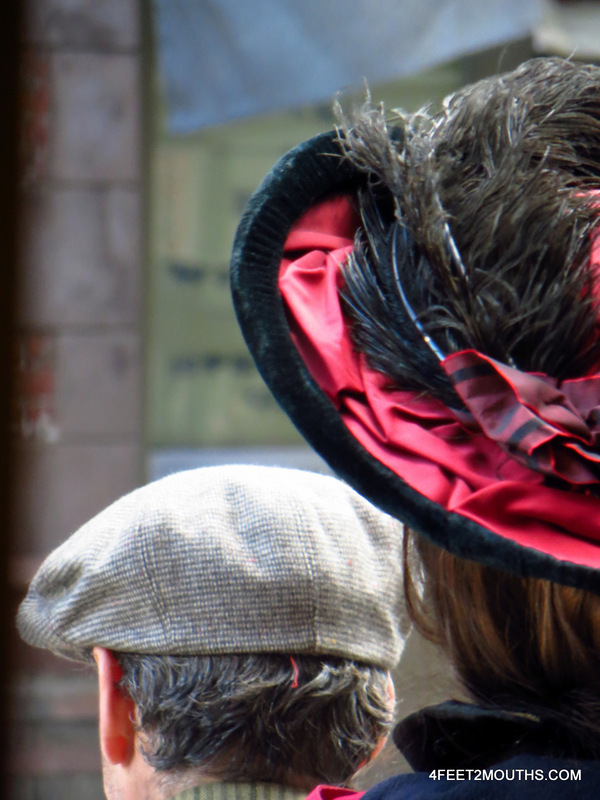 As I drank my tea at Made Fresh Daily that morning, I was able to watch Victorian era NYC pass me by through the window. While subletting drew out the moving process, I treasure my stay in this peaceful little neighborhood that makes me feel like I stepped back in time. 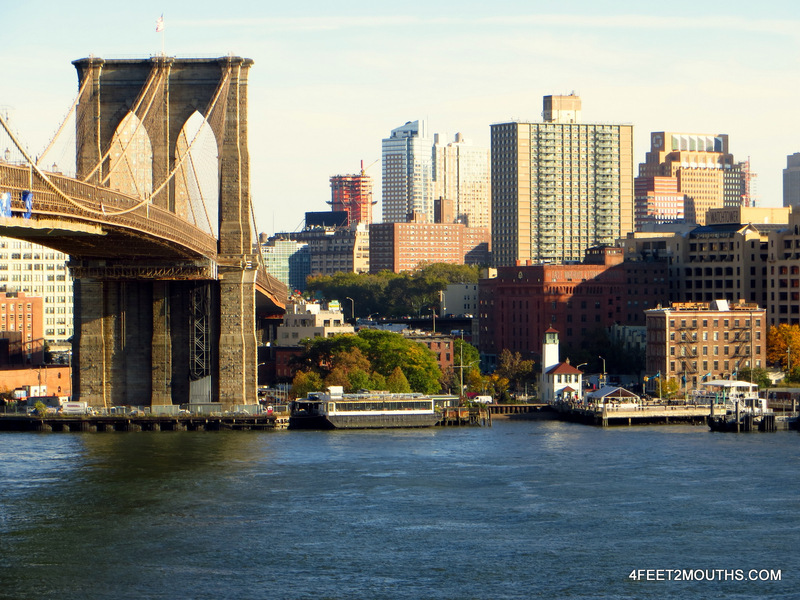 It became one of the first steps in making NYC feel like home. One of my favorite parts of town! Summers are fantastic.